Magnetic resonance imaging (MRI) is a technology often used to investigate the sources of knee problems. It works by emitting magnetic waves that bounce off tissue, bones, and organs in different ways. These waves are then translated into images we can use for diagnosis. MRIs are not used on their own to make a diagnosis but can often provide strong evidence to support one. When faced with a knee injury, infection, or joint disorder, doctors will often use an MRI to not only pinpoint the cause but to help direct the treatment plan. 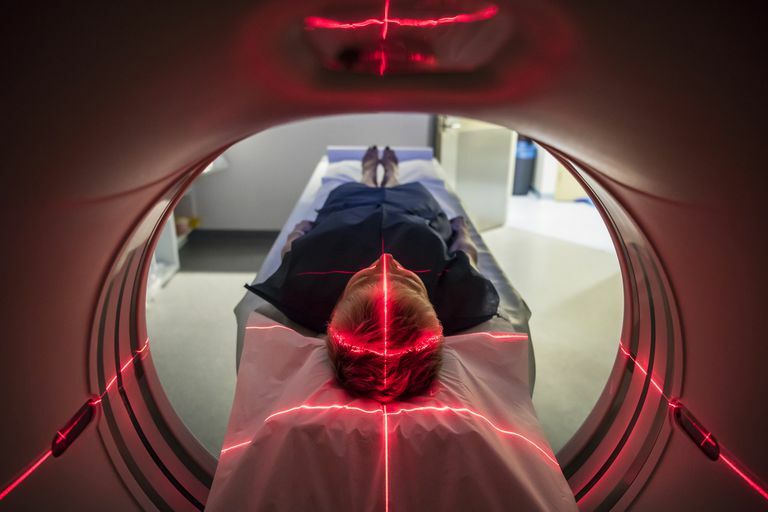 While some people find MRIs distressing, either because they are claustrophobic or jarringly noisy, they are invaluable tools which offer a less invasive means of diagnosis. The meniscus is a wedge of cartilage within the knee that helps cushion, stabilize, and transmit weight across the knee joint. If ever the meniscus is torn, an MRI may reveal that it typical triangular shape will either have shifted or changed. In some cases, the torn portion will have migrated to the center of the knee joint (commonly referred to as a "bucket handle tear"). Certain abnormalities will be listed on an MRI report as an "intrasubstance signal." This doesn’t mean that the meniscus is necessarily torn; it simply tells us that the meniscus isn't appearing as it should. It could be the result of normal aging or an increased vascularity commonly seen in children and young adults. Further investigation would be needed to reach a definitive diagnosis. While a normal ACL tends to be difficult to see on MRI, any tears of the ligament will be seen in 90 percent of cases (most often in conjunction with a bone bruise and fracture). The ACL is where the majority of ligament injuries occur. The PCL, by contrast, is more easily seen on an MRI since it is about twice the size of the ACL. Isolated tears are relatively uncommon. If one occurs, it will typically be seen as a distinct disruption of the ligament fibers. Meanwhile, MCL and LCL injuries tend to be associated with swelling around the knee (commonly referred to as "water on the knee"). An MRI may be used to diagnose the degree of injury, characterized either by the presence of fluid (Grade I), fluid and partial disruption of ligaments (Grade II), or complete disruption (Grade III). Grade III injuries typically require surgery. A tendon is a tough, sinewy fiber that connects muscle to bone. The two tendons seen on an MRI are the quadriceps tendon (which connect the thigh muscles to the knee) and the patellar tendon (which connects the shin bone to the kneecap). An MRI can be used to detect chronic tendinitis (inflammation of the tendon) or tendon ruptures (although this is usually apparent on physical examination). In cases of tendinitis—such as that seen with "jumper's knee"—a MRI will usually reveal progressive knee injury in the form of scarring, inflammation, and malformations of the tendon itself. MacMahon, P. and Palmer, W. "A Biomechanical Approach to MRI of Acute Knee Injuries." 2011; 197(3): 568-577. Is MRI Contrast Injection Into a Joint Safe? What Are the 3 Grades of LCL Tears?